If you own a business, you have to somehow take care of the financials. Most people, to be able to do this, hire an accountant. This is not a bad idea. After all, a person who’s specialized in this area can do everything efficiently and you’ll be all set to have a safe business. But what if I tell you, that you can do this all by yourself? 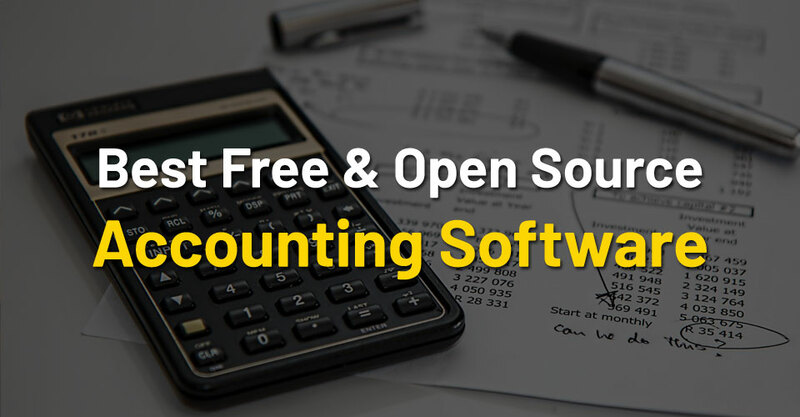 Yes, nowadays you can find a lot of free and open source accounting software online. Such a program will help you do everything an accountant would. Financial control is at anyone’s fingertips. But is free or open source software as good as a paid one? It is widely thought that something you pay for is better than a free product. Is that the case here? Well, some accounting software, that isn’t free of charge, may be better than their specific free to use counterparts. But this isn’t always the case. Most free programs can do all the important things one would expect from them, such as creating invoices, managing contacts, stock, VAT, quotes, reports and others. This product has both a paid and a free version. 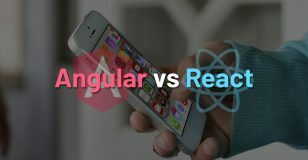 As I already mentioned, we’ll talk about the free to use version in this article. So, is it good enough for your business? Let’s see what you get using the free version. For start, it gives you all the services needed to run your business efficiently. So, if you go with this solution, you won’t fail. Just as the name suggests, Zoho Invoice lets you create and manage invoices for your clients. Your estimates are easily converted into invoices with just one click. It’s nice that you can set it up to send out automatically the recurring invoices. Another great feature it gives you, is the fact that you can send out manually (or automatically) payment reminders to your clients. Your customers, who have recurring invoices, can choose to have their credit or debit cards automatically charged when an invoice is due. Zoho has something else too, that many other candidates don’t: an app. This is a big pro for most users. They can see their reports anytime, from anywhere. The app works on both Android and iOS and even on Windows phones (if you may be using such a device). This software comes in 4 different pricing plans. The first one, the free plan lets you use the program for up to 5 clients and make invoices for them. If you own a small business, this plan could be all you need. The other plans come for different prices, but the free one allows you to do everything that’s needed. One of the most liked features about Zoho Invoice is that it’s very easy to set up and use. It takes just a few moments to set it up, and you can send out invoices right after that. The user interface is also simple and easy to learn your way around in it. The dashboard will show you an overview of your sales and expenses, projects and many other important facts. The developers behind this tool made it to be user friendly for any beginner. TurboCASH is best if you need multiple user accounts. It goes up to 7, which is great if you have others who will work with you for your business. What does this software include? Let’s just say plenty. For instance, you can handle your inventory, double entries, and budget and manage payable and receivable accounts. Something quite good about this software is the ability to work with multiple languages. And all this comes with integrated Excel spreadsheets and cloud applications. What about its price? TurboCASH comes in more variants; paid and a free one too. The free plan, which is called TurboCASH 4, comes with all the things I mentioned before. The only drawback, is the fact that the premium version is much faster, being a newer product. But with TurboCASH 4, you can take care of all your financials easily, without the need to pay for an accountant or premium software. If you own a small business, Wave could be just the thing for you. It’s a free program that features a selection of programs for small businesses. The interface is easily one of the selling points (I know, it’s free) for this product. With a clean and easy to grasp dashboard, you will quickly learn the ins and outs of the platform. If you’re a freelancer or a small sized business owner, the dashboard will be just perfect for your needs. You can see the Cash Flow report right at the top of the page, followed by the Profit and Loss section. There are displayed other number and charts related to your balances and income. One of the negatives for using Wave though is that you have to pay the payments and payroll. There are other features that aren’t available, but if you’re the owner of a small business (as I already mentioned) that won’t bother you. Most of those missing options are needed if you are the leader of a big company. This one is used to keep record of the day to day transactions. The good part is that this software works for any size of business, not just freelancers or small companies. Entering data can be done in a fast and easy manner, so even the starters can learn their way around easily. Some of the features VT Cash Book includes are: support for multiple bank and cash accounts, split analysis, VAT returns, account the profit and loss, auto-complete feature. The software stores all your data for every customer in separate files created specifically for each customer. This data can be stored on external hard drives or a CD/DVD, which is possible to be done directly from the program’s dashboard. Back-ups are important for any company, and this option will help you to get it done. This is also a free to use tool to manage your financials. You can manage your orders and the inventory using it. It also allows for the use of recurring invoices. A great option available is to design your own invoice layout. To be more professional looking, this is a nice addition. Bar coding is also an option available in Invoice Expert. You can see graphs that show the current state of the aging invoices. An invoice search is built into the software as well. This is a good option for any small to big sized business out there. It will easily handle all your company’s needs. This option is more for those who own a small company/business and don’t know too much about what and how accountants work. So, it’s designed to be as simple as possible to use for anyone. You don’t even have to use every feature it includes, just the ones you need. Its features include customers and invoicing, profit and loss, suppliers, payments handling and many more. The shipping for your products can also be made from inside this program along with the discounts and taxes for doing it. A great added feature is the possibility to learn everything from it using tutorials and explanations included in the package of the program. They include a Basic and an Advanced plan. This will help accommodate any user more easily according to his/her skill level. This program sets off to do something harder: to be usable by anyone with any skill level, but still being powerful enough to do all the things a demanding user might ask for. So, is it accomplishing this goal? Let’s see! The first part is in essence true. But it takes a bit of time to go through all the manuals needed to use this software. Setting everything up when you start out isn’t very hard, but time consuming. Once you get the hang of it though, you’ll feel at home using the program. What can we say about the features it packs? Well, it comes with everything you may need to build a secure business that works as it should. For example, the budgeting and cash flow forecast is great. It’s highly customizable as well while working cross platform. One negative though: all the software is for offline use, so you can’t use online banking alongside it. Besides this, it can be a good choice for a small to medium sized business. This software is a cloud-based platform originally created for those small and medium sized businesses who work in the retail, trade or manufacturing areas. It’s best for resource planning. The features you get with the free version are limited, but for a small to mid-sized business will do just fine. You will get space for 1 company (just yours). The storage is limited too, only 1 GB. But besides these drawbacks, you will also have priority email support, data management, real time validation and drilldown. All the invoices and other documents can be sent via email from inside the program itself. One big plus is the security this tool gives you. It is being hosted on Google Cloud, which means that all your sensitive data will be stored safely. Just like OnCloud ERP, Compiere is also cloud-based ERP software. It includes CRM capability too (Customer Relationship Management). This will help you keep in touch with your clients much more efficiently, while being easy to use. This program goes well for bigger businesses as well, not just the small or medium ones. Some of the features that make it good for such companies are the possibility to manage your warehouse and manufacturing, the sales and purchases, the materials and orders (for materials and from clients too) and a global financial management. I said before that Compiere is easy to use. This is a well-known fact among its users. Compiere’s popularity is strongly linked to its user-friendly interface. Even beginner ‘’accountants’’ can use it, without spending a lot of time learning the basics. This platform is best to use if you’re a freelancer or you own a small sized business. It isn’t used by large corporations. The reason why it was created was to appeal to the freelancer category that needs software for easy invoicing. Brightbook is software that needs to be installed on your computer, so you won’t be able to use it in the cloud environment. It has pretty basic functionality. You can’t perform double-entry accounting or other, more complicated processes. But it’s very efficient if you just need a program to take care of simple invoicing and bank account checking. Compared to Brightbook, this one is more advanced, aimed at small to mid-sized businesses. It includes payment processing, financial reporting, core accounting, forecasting and budgeting. All this is done in the cloud; you don’t need to install the software on your PC. A nice feature you got with ZipBooks is the ability to create custom invoices, personalized with logos, messages or themes. You will be more recognizable as a business due to this feature. It also lets you link to your bank account and it draws real time data from it. This means that you can see all the company’s expenses and purchases in real time, and even small summaries for all of this. Something else offered by this software is the fact that you can manage your projects from inside the application. You can assign different parts of a project to your team members and track the performance in real time. This is a real asset if you strive to be more efficient. This software has an interesting feature that some people could find very useful. If you’re traveling a lot, Expensify will help you handle the travel expenses. It includes an advanced GPS technology. This will allow you to track and record the distance your employees (or yourself) make during a business trip. This way you can account easier for the cost of all the travels. Besides this option, you also get other useful pros, like invoice management, multi-currency, receipt upload, time tracking, workflow management, spend control, reimbursement management, approval process control and direct integrations with other useful accounting software. Odoo is free accounting software that is aimed to help business owners grow their company. It is used by over 2 million people worldwide. This really gives the software a high trust score among all the listed candidates. Something that’s different about Odoo is the fact that it’s composed of a suite of many different apps. Some of the capabilities of these apps are as follows: running operations, boosting productivity, empowering human resources and organizing marketing activities. One of the things Odoo can do is the ability to create a website for your business. Yes, this is truly different from almost all the other programs on this list. But it’s easily one of the best features accounting software can come with. You may think its weird somebody thought of this option. But think about it! What is today’s most powerful marketing tool that is widely used by businesses all over the world? And not just businesses; non-profit organizations, institutions and even freelancers use it. Yes, a website. And since Odoo’s goal is to help businesses grow, a website could be a company’s best bet for success. So, if you think to create a website for your business and still want to have a powerful accounting platform to back it up, go for Odoo. Let’s move on to the next platform. Roboeyelabs is known for fusing CRM and accounting into a well working tool. If you need a neatly working platform for handling CRM, then go for this one. The platform was built to improve the efficiency of businesses in the following areas: sales, CRM (obviously), accounting, social marketing and email marketing. Invoice creation with Roboeyelabs is also simple to do. You can generate invoices without actually needing to spend time and calculate figures and listing items. Sending an invoice is automated. You do not need to go into your email account. All this functionality is built into the platform to make your work easier. You can even print the invoices right from inside the software. Check out these features you will have with Roboeyelabs: contacts management, quotes, leads, email alerts, free customization, bills, invoices, payment handling, reports, Twitter integration, Facebook integration, Rest APIs and many more. SlickPie was created to help out small businesses. Considering that this tool is entirely free to use, you get a lot of features most other platforms give only for premium users. The main reason why you should use this one is to track, record and reconcile the income and expenses. All this is doable from the dashboard. The invoicing is very simple and quick. If a customer signs up to this software as well, you can start invoicing right away. The look of the invoice is available for customization to better fit your brand’s message. SlickPie allows its users to upload source documents into the program. This way you can go paperless with your business. Most modern companies find this to be an efficient way to further improve their business. The software includes a version that’s compatible with mobile browsers too, so you don’t have to worry about your company’s stats even when you’re away. Officewise has a free version that is as competitive as the paid one. If you need a program that can take care of invoicing, quotes, bills, expenses, payments (giving/receiving), budgeting, reports (over 75) and many others as well, go with Officewise. If you own bigger company that needs to manage inventory too, this software might be for you. It packs solid inventory control and management features. Just to name a few: allocation, cost tracking, forecasting, order management, supplier management, item management, inventory optimization, analytics, warehouse management, etc. Processing an order will be easy with Officewise. You can use it to check your incoming orders, the fulfilled orders, the customer database, see the orders development in real time. It even lets you use recurring orders too. This software was mainly created to help small businesses track their finances and also their cash flow. To be able to do this, Akaunting lets you create invoices for clients and accept and send online payments. To share your invoices with your customers, Akaunting is making available a Client Portal. This feature is helping you to send invoices to clients and share your transactions with them when needed. When you send an invoice, you can attach to it an unlimited number of other documents as needed (receipts, expenses, evidence, etc.). If you’re not very good at English, you may also find a language that better suits your skills, because Akaunting comes in many different tongues to help you out. Something that is helpful about this program is the ability to add deposits right into your account. When you do this, handling a payment will be much simpler and faster. The set-up of the program is very simple as well. You just need 5 minutes, and it’s done. It works well with low spec PCs too since it has low system requirements. You don’t need any professional knowledge to be able to install and set it up. 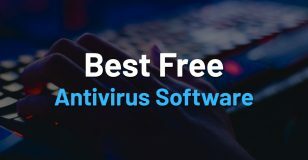 This software is free for the first month of use. Then why am I listing it? Because once the first month is over, you might very well go for the full version. Especially if you test it out well enough in that first month. It was created for freelancers to organize their work easily and efficiently. The developers behind this product think that you better put your efforts into further developing your skills and talents, instead of learning about invoices, expenses and client information. You won’t spend unnecessary time to learn such things, because Momenteo is built to help out even the beginners. One of the greatest features it packs is a calendar. Well, that’s no big deal, you might think. Well, it is big deal, I’m telling you. This calendar will help you organize all the jobs you must do or have done in easy manner. You will easily understand what you have done and how much it costs. You can plan ahead the new jobs you landed as well. This way, you can stay organized, which is the most important thing for a freelancer. Along this calendar, you also get features to track the time and cost you spend traveling. You just have to enter 2 addresses and the frequency you do this trip, let the program do the rest. To track expenses, you can snap a picture of receipts and add it to your documents in Momenteo to better track the costs. If you own a small or mid-sized company, then XTuple could be your thing. This software puts enterprise-class technology in your hands. It includes ERP, CRM and a web portal to help your company grow over time. The must have features are included as well: invoicing, accounting, sales customer management, manufacturing, distribution and inventory control. With XTuple you get lots of MRP features as well: document management, forecasting, quality control, quotes, resources, suppliers, product configurator, bills and others. ADempiere is an entirely open source application developed by its community. It is mainly an ERP solution for small to big corporations. 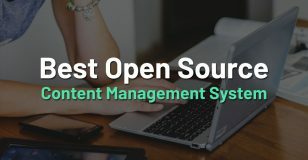 Being entirely open source, you can change its source code to suite your business model even better. 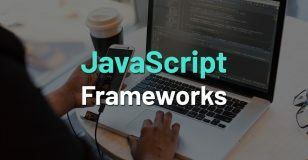 If you’re not acquainted to tech or programming, but still want it to work best with your company, just hire a developer who can modify the application as you desire. What will you receive in the package of this software? I’ll tell you a few: financial management, sales management, inventory and warehouse control (for bigger businesses / factories), financial reporting, workflow management, multiple user interfaces and accounts too, a fully customizable interface and others. It is a highly appreciated platform by its editors and users as well. If you want a tool that will be able to solve specific issues regarding your company only, then ADempiere is a great choice. Apache’s platform is built to help you accomplish the automation of enterprise processes. It will do this using its applications and framework components for ERP, CRM, SCM (Supply Chain Management), MRP (Manufacturing Resource Planning) and even eBusiness. Yes, it’s able to do lots of abbreviated things. Putting jokes aside, it is a powerful platform, if you need a tool that can help in any situation. And there is one more feature it includes, that isn’t built into many of its rivals: eCommerce support. If your company specializes in selling products online (like Amazon or Aliexpress), this is for you. This option is an advanced technology that will let you manage an online market from inside your accounting software. This is another web-based application created in PHP that uses MySQL databases. This means that the program can be easily updated and will run smoothly in the future too. MySQL is widely used by the biggest corporations in the world, so this software will assure a safe and good performance for your business. What is great about this software is the fact that it’s a Multilanguage tool that can use multicurrency as well. So, if you’re not from the US, you can still use the software easily by changing the language and the currency according to your country. Front Accounting will help you generate invoices to send out to your customers. You can save your reports and files in PDF format to your PC for safekeeping. A backup is always useful to have. The interface will be familiar, because they based it on the MS Excel format. This product has a free to use demo version. You can either install it on your PC or just use it in the Cloud. It has lots of training courses, documentation and tutorials. But luckily, you don’t really need all that, because it was built to be used by any beginner to accounting. Usually a web-based program isn’t as powerful as a normal desktop version. With OpenBravo, that’s not the case. You will be allowed to use fully-fledged software that was created to meet any problem you might come across while running your business. The platform is entirely customizable to your needs. To do this, you can use the Widgets provided by OpenBravo. These are small programs that will take care of certain problems regarding your company. They can be used to display specific information on someone’s workspace. It’s good that the info can be static, but dynamic too (it will change in real time, as something happens). Just like Front Accounting, OpenBravo also adopts a familiar spreadsheet format from Excel. Due to this functionality, you do not need to waste valuable time learning everything from zero up. There is a lot of free accounting software out there, and you don’t necessarily need to spend money on a premium one. I think you found at the least 2 or 3 programs that could work for you. The second important lesson is that most of these programs are tailor made for certain business types. For instance, you could see throughout the article that most software is created for either a small, medium or large company. One that works for a small business could not work for a bigger one due to different needs. So, when you decide on the ‘’winner’’, think well, what is it that you must have included in the package. This way you’ll be able to choose software that meets all your requirements, or maybe even exceeds them in certain areas. 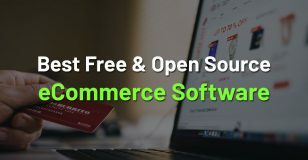 I hope I could help you in your quest for finding the best free or open source accounting software. Now it’s up to you to decide on the best choice. P.S. Be picky about this. You don’t want to spend time learning something that could turn out to be bad software for your business. Good research and seriousness is essential!